The Supreme Court today asked the centre to appraise it of the status of international arbitration proceedings in the Italian Marines case. The bench, comprising Justices A R Dave, Kurian Joseph and Amitava Roy, also enquired from senior advocate Soli Sorabjee, appearing for the marines, about media reports saying that Latorre would not be sent back to India by Italy. “These are stray reports”, Sorabjee said. The court also asked the government to apprise it of the status of international arbitration proceedings to be undertaken in pursuance of directions of International Tribunal for the Law of the Sea (ITLOS) in the matter on April 13, the next date of hearing. On August 28, the court had suspended all proceedings in the case and adjourned the hearing to today after centre and Italy informed the bench that the International Tribunal for the Law of the Sea (ITLOS) in Hamburg had directed that “as part of provisional measures”, both Italy and India shall suspend all court proceedings relating to the matter. 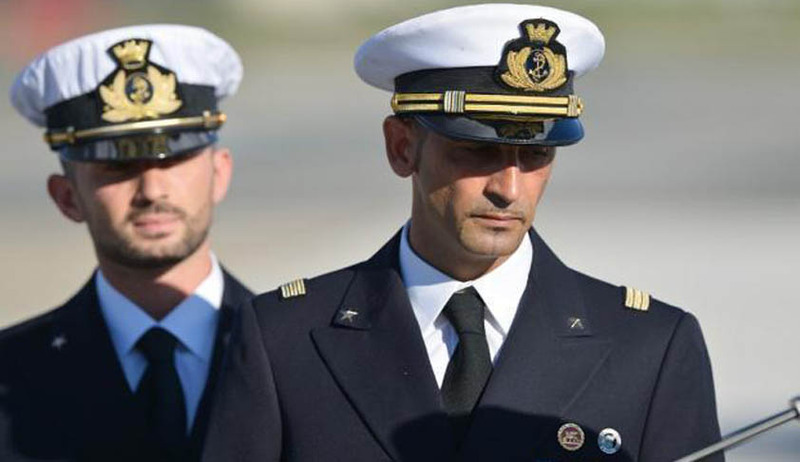 The Italian marines operating as part of an anti-piracy Vessel Protection Detachment on-board Italian-flagged commercial oil tanker MT Enrica Lexie, are accused of opening fire on a fishing boat ‘St. Antony’ killing two Indian fishermen on board under the misconception that they were pirates. Sorabjee submitted that Italy has invoked international arbitration challenging India's jurisdiction to try two of its marines. The ASG had said that India, being a signatory to the International Convention, would participate in the arbitration proceedings. The Modi government however, had asserted that India had jurisdiction to try the marines as the alleged offence had taken place in the Indian waters. Meanwhile, the court had extended the stay of Latorre, who underwent a heart surgery in Italy, by another six months and had asked him to file an undertaking that he would abide by its conditions within a week. The six-month extension began from July 15. Latorre, who had suffered a brain stroke on August 31 last year, was allowed by the apex court on September 12 last to go to Italy for four months. Earlier, the apex court had taken on record an unequivocal and unambiguous undertaking by Latorre regarding the dates of departure and arrival back to India. It had also taken on record the undertaking furnished by the Italian Ambassador on behalf of his country that the ailing marine would abide by all terms and conditions set for his travel to his native land. The apex court, on January 14 last year extended Latorre's stay in Italy by three more months after he underwent a heart surgery. The marines' plea was referred to this court by a bench headed CJI H L Dattu saying it was not proper for it to take up the application of the marine seeking extension of stay on health grounds, as it had earlier expressed some reservations and made certain observations on a similar plea. The complaint against the Italian marines was lodged by Freddy, the owner of the fishing boat 'St Antony', in which the two Indian fishermen were killed when the marines started firing on them allegedly under the misconception that they were pirates.